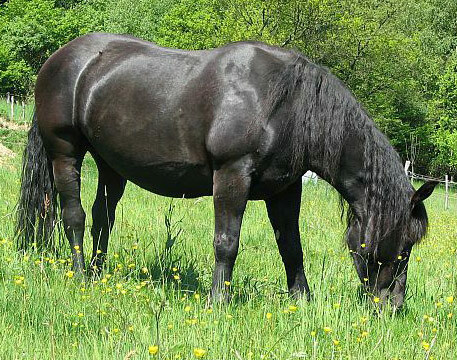 One of the many endangered draft breeds, the Abtenauer is the smallest variation of the Noriker horse and their population numbers are very low. 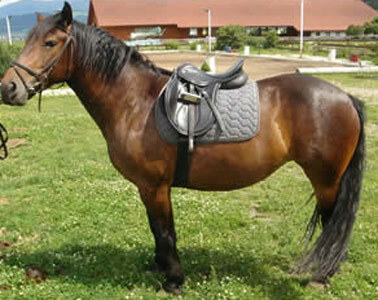 Bred in the isolated valley of Abtenau, Austria mares and their progeny spend summers roaming alpine meadows. 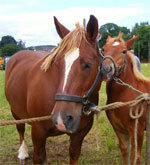 Sometimes the foals are born with a very curly coat which they shed when they loose their baby hair. 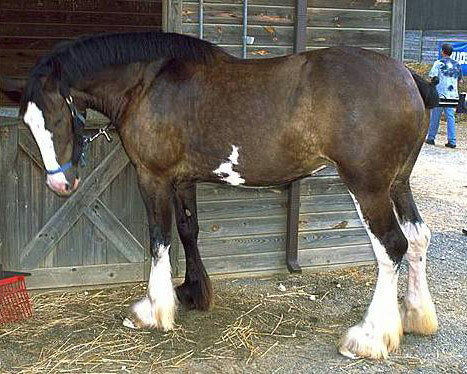 This breed is smaller in stature for a draft breed, but incredibly strong for their size. 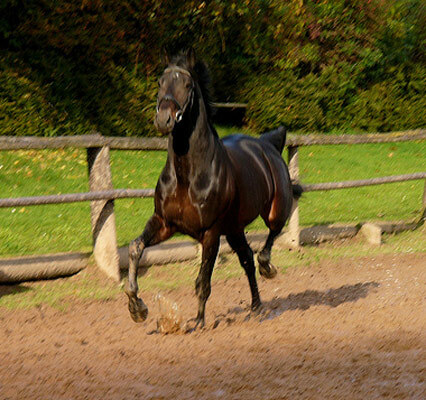 The Abtenauer is beautifully built and known for their easy flowing trot and a sweet disposition.